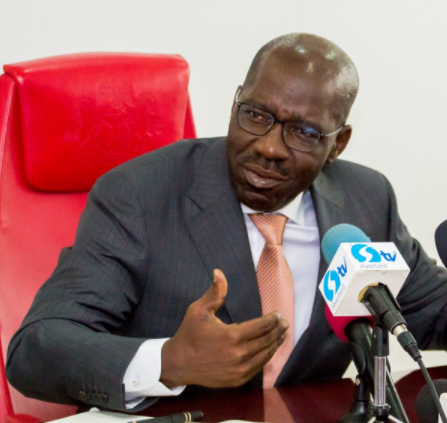 Edo State Government has unveiled plans to incorporate local government workers into the Contributory Pension Scheme by mid-year; to ensure seamless and hassle-free management. Edo Head of Service, Mr. Isaac Ehiozuwa, disclosed this during a meeting with local government chairmen, on the commencement of the contributory scheme. He said the Governor Godwin Obaseki-led government embraced the contributory pension scheme over a year ago, which has been running smoothly and has ensured that workers get their deserved benefit. “It has been implemented at the state level. We need it at the local government level too. In the local governments, while the employee contributes eight per cent, the local government chairmen are to contribute 10 per cent. The only people to be exempted are those that are less than five years in service,” Ehiozuwa said. He added that the state government has worked assiduously to settle all backlog of local government arrears and the adoption of the contributory pension scheme will ensure that the local councils are on the same page with the state. Elsewhere, Obaseki has entered into a partnership with Facebook, for the provision of internet infrastructure, learning resources and community support for teachers to strengthen the state’s basic education reforms. Speaking at a luncheon for Facebook Education Section delegation at the Government House, in Benin City, the governor said his administration will continue to deploy technology to drive basic education reforms, which will prepare pupils in the state to compete favorably with their peers across the globe.